← My 2006 New Year’s Wish List….six years on! For years I’ve heard the words “Father of the Bride” and haven’t given them much thought. Yesterday my only daughter, Tara, was married here in Winona. Like many things in life, you must experience them to truly understand their full significance. First of all, Deb and I gained a whole new family to add to our family! Howard and Debra Venable gave us a son-in law, their oldest boy, Bob. He is a great guy and has brought a lot of joy to Tara and to us. The Venables have three other children, two of whom are married and one of whom has a son! All of them were at the wedding and we bonded like glue! 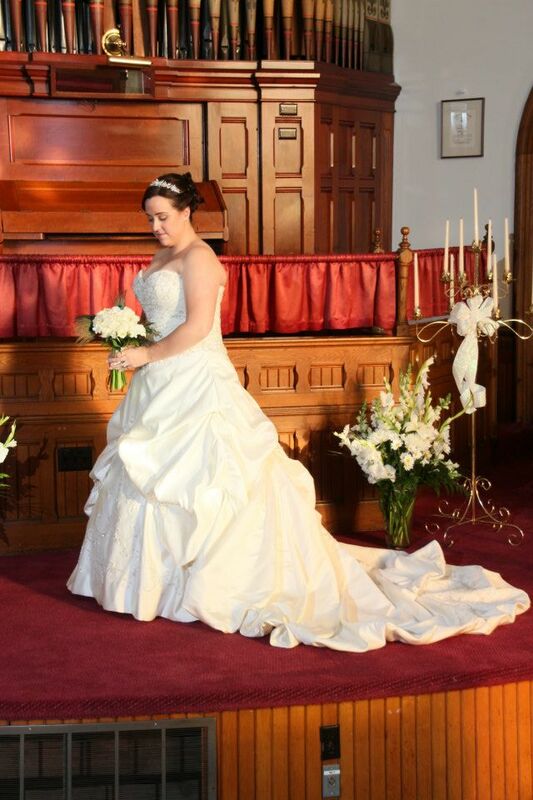 The sacrament of Marriage took place at the beautiful, vintage Baptist church on Broadway street. This house of worship is a classic, intimate building complete with incredible stained-glass windows and an antique pipe organ. Elder Ken Berg, who married our son 8 years ago, did the honors for Tara on an incredibly warm January afternoon. Our thanks to Pastor Hudson for being such a great host as we made many trips back and forth getting the church decorated for the wedding. Right before the wedding Michael, Bob’s brother and best man told me, “Don, I don’t think that I’ve ever seen Bob happier in all his life.” All you had to do was look at the smile on my daughter’s face to realize that the bride and groom were ecstatic to be at this time and at this place in their lives. My thanks go out to many friends and relatives who traveled great distances to be with us. Unfortunately weddings don’t give you much time to catch up, but let me solicit to all of you an invitation to come and see us soon when we can treasure more hours together. Finally I want to hold before you my wife, Deb, who has struggled through many obstacles to make it to this day. May this be just one of many family events that we can share with you honey, by far the bravest among us!